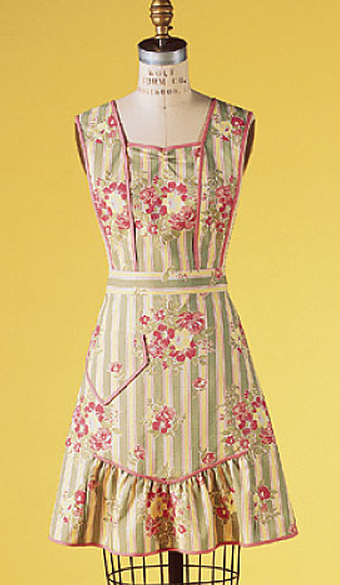 Making a vintage-style apron was so rewarding that I am jumping right into making another one. 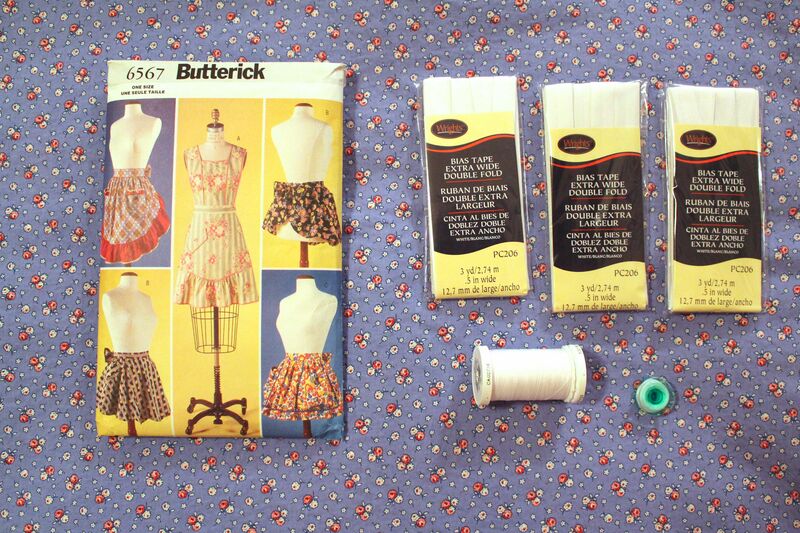 This time I’m using Butterick 6567 (out of print), View A.
Butterick 6567 was already in my stash. I bought a reproduction 1930s print quilting fabric to make it. Note the narrow bias tape everywhere. The pattern calls for making 7 yards of 1/4-inch double-fold bias tape from scratch. Well, that’s just too skinny a fold to try to press when 1/4-inch bias tape is readily available. When I got to the store, I decided it looked like the fabric could pull out of those skinny little seam allowances pretty easily, so I opted for the 1/2-inch double-fold bias tape. Even though this pattern has a bodice of sorts, I’m not bothering with any sort of full-bust adjustment. We’ll see how that goes.